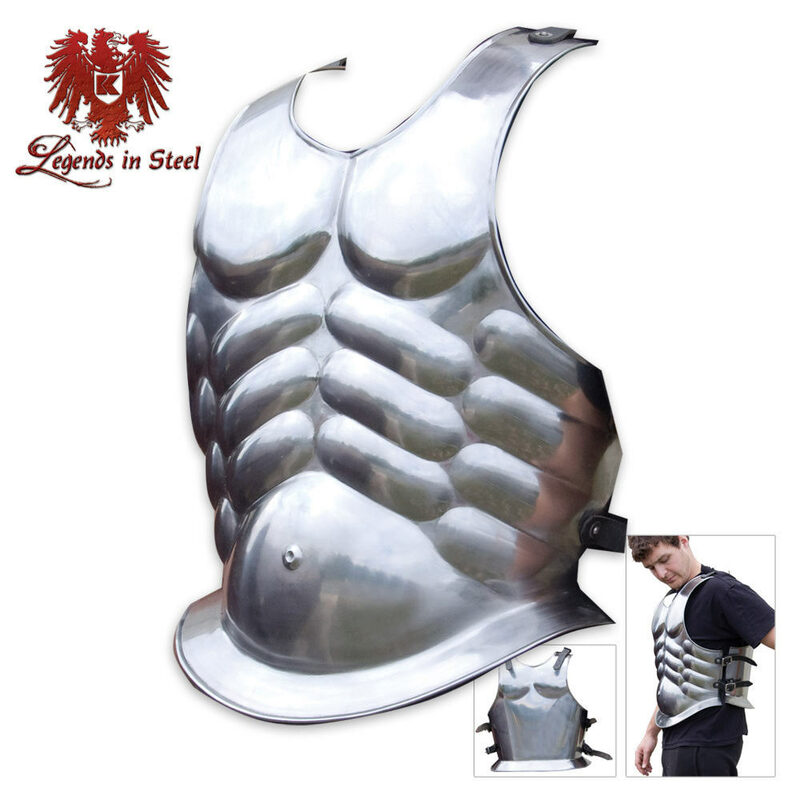 Legends in Steel Middle Ages Muscled Front & Back Cuirass Armor | BUDK.com - Knives & Swords At The Lowest Prices! This is a rugged reproduction of the Medieval Roman Armor Muscled Cuirass from the late 5th Century. This solid piece of medieval armor won't come apart while you're wearing it.